Cooking can be considered as an art. No matter what skills you have in cooking, it is always better to have the right kitchen tools to make the process fun and easy. 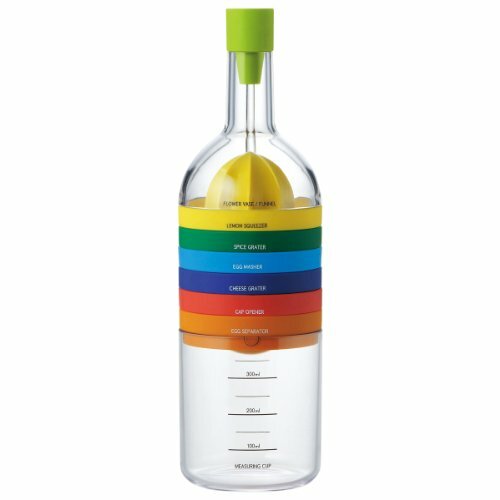 Here are 11 amazing kitchen tools that you probably have not heard of that will surely make your life in the kitchen so much easier. 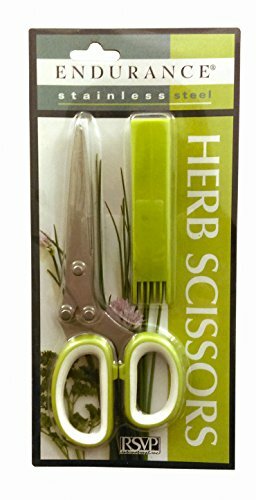 This RSVP Herb Scissors is the best tool that you can use when cutting herbs exquisitely and swiftly because of its fine blades made of stainless steel. This can also be used in preparing dips and condiments. 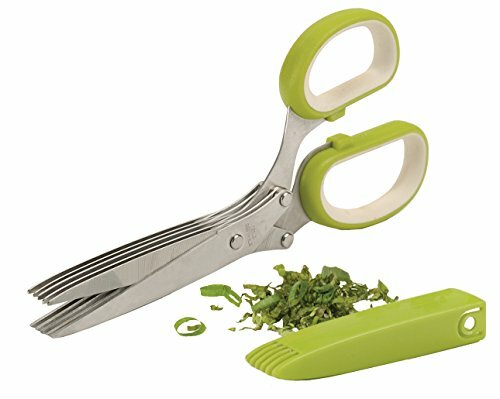 It’s got 5 sharp 3” stainless steel blades that allows you to cut herbs in only a few strokes. You can cut, dice, and chop herbs over a plate or straight into a pan. 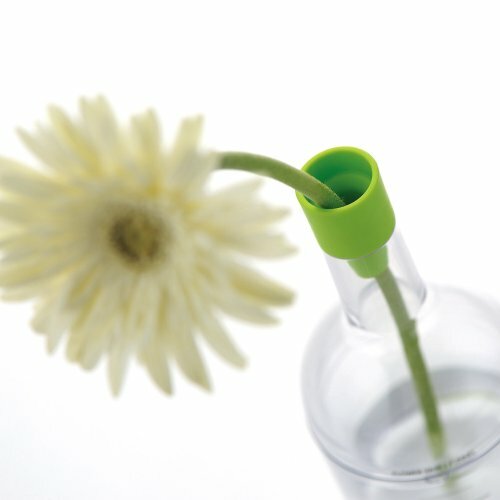 The handle is made of silicone plastic for an easy, comfortable grip. 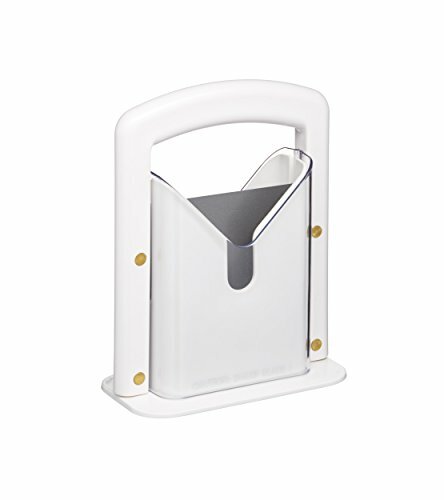 Comes with a blade cover for safe storage that acts as a cleaning tool as well. 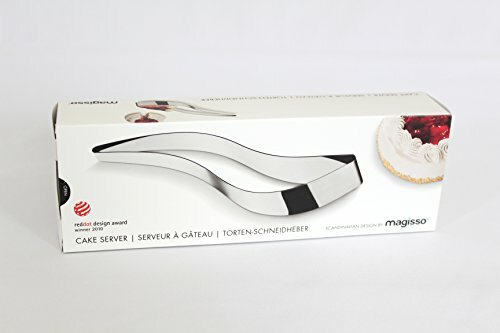 Magisso Cake Server now makes it easier for you to slice your cakes perfectly for faster serving. 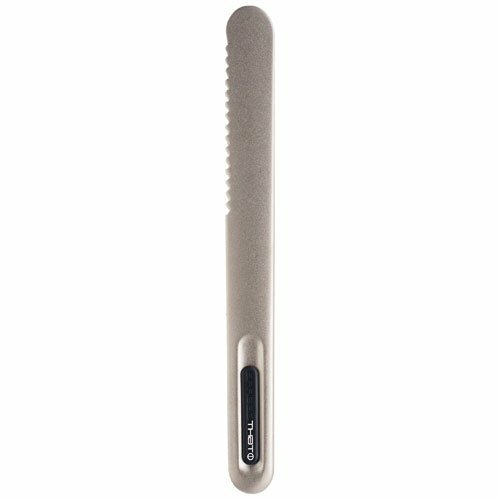 Aside from using it to slice cakes, you can also use this to slice desserts and other pastries. 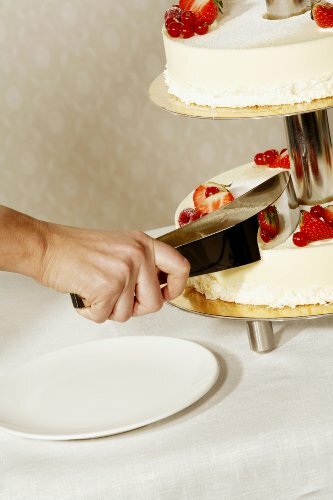 This tool is easier to use compared to conventional cake servers. 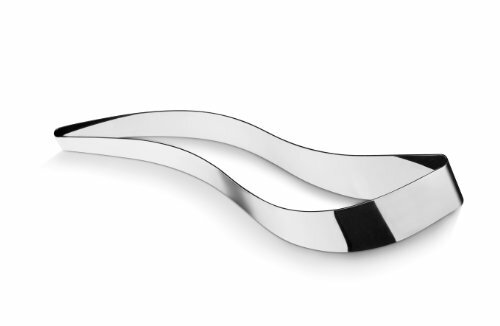 Magisso, its manufacturer, said this product was already imitated so many times because of its polished and contemporary design. Therefore, it is always best to check with the authorized dealers that Magisso is the manufacturer. 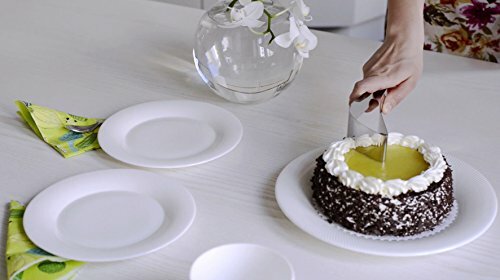 Gives you a perfect slice of cake effortlessly. Impress your guests with its unique design. 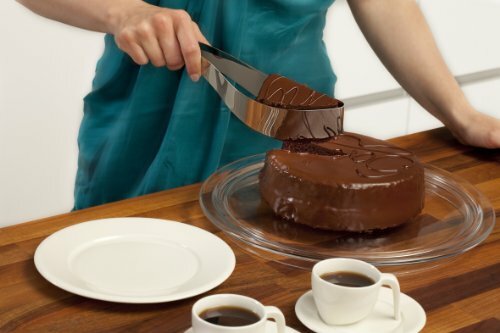 You can have it engraved and given to someone you know who loves cooking/baking as a gift. 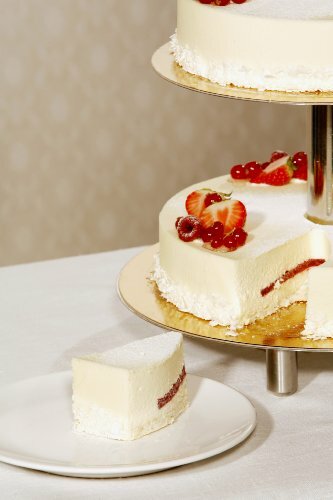 MAKE DESSERT PRESENTATION BEAUTIFUL: Serving desserts, especially those with layers is a chore. 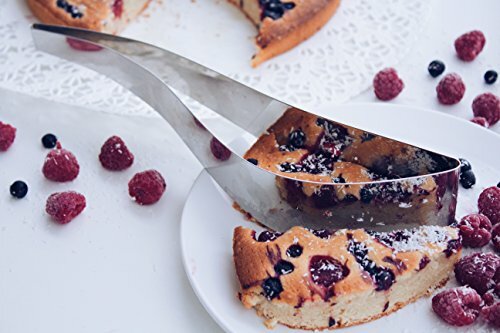 Your cake almost always winds up on its side with the layers coming apart. 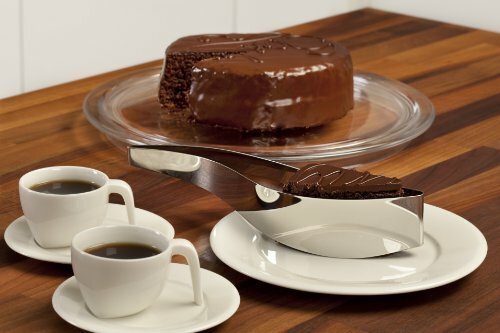 Now you can keep the cake upright and intact with this perfect cake server. 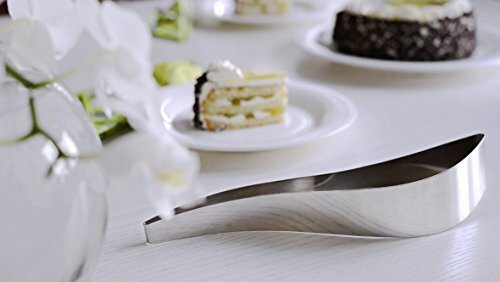 It holds the piece together while moving it to the plate so that gravity can't ruin your evening. Yes, it is a strainer and a chopping board in one! 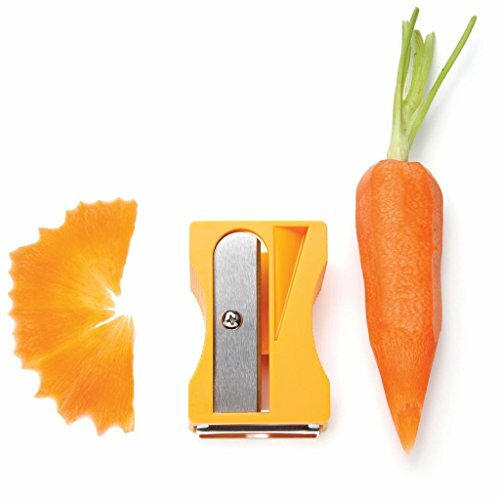 Dexas made this product to make it easier for you to chop and clean fruits and vegetables. 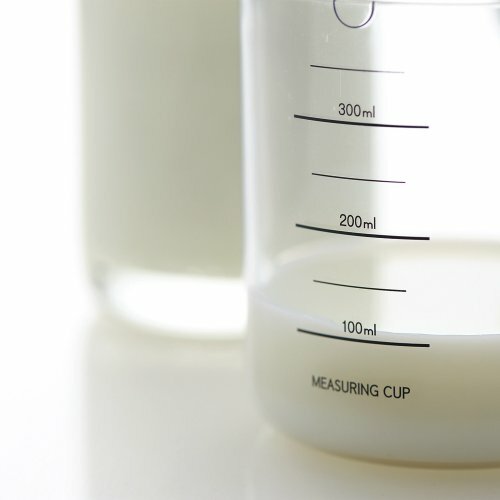 Save time by cutting and washing your food at the same time. 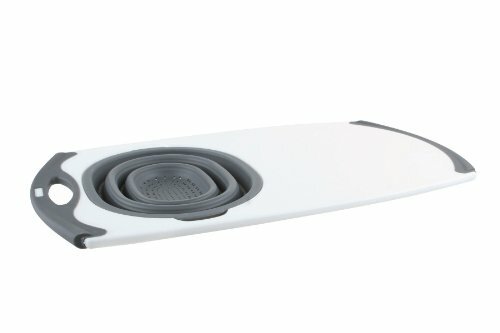 Its non-slip rubber sides that clutch on surfaces secures it in place. 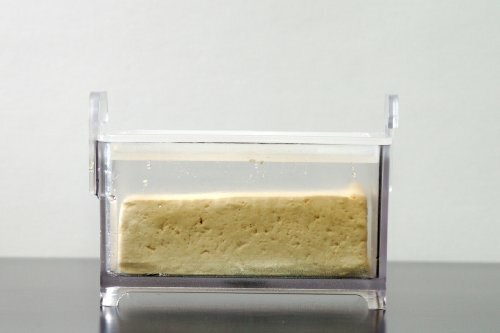 The board is compact, odor-resisting, and non-porous. 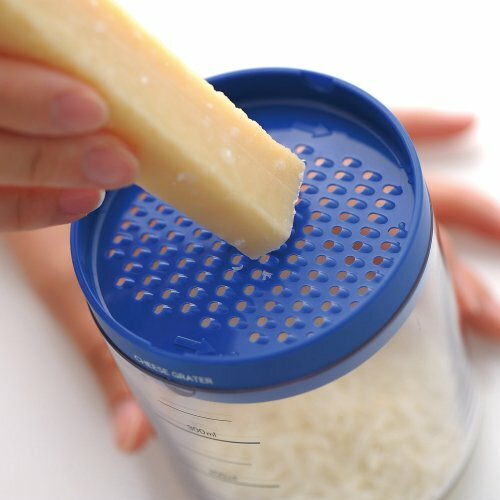 It comes with a strainer basket that you can remove anytime. Guaranteed not to dull knives. It is easy to clean because of its non-stick material. 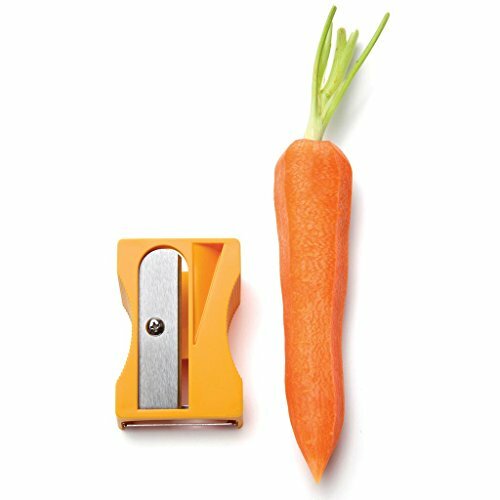 The concept of peeling a vegetable using a giant sharpener is what made this appealing to the consumers. 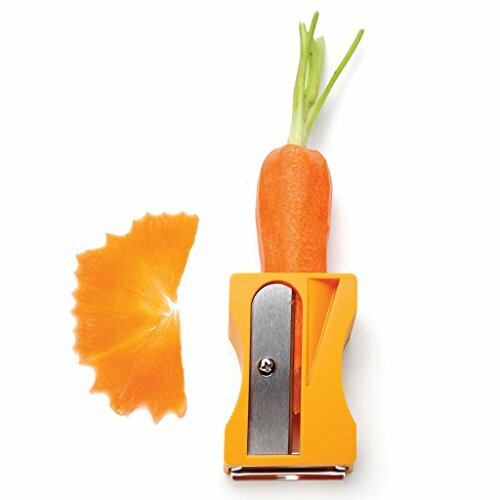 It serves as a sharpener, peeler, and curler for cucumbers, carrots, and much more. This product has tons of imitations out there, so you better make sure that you get it from the original manufacturer which is Monkey Business Design. 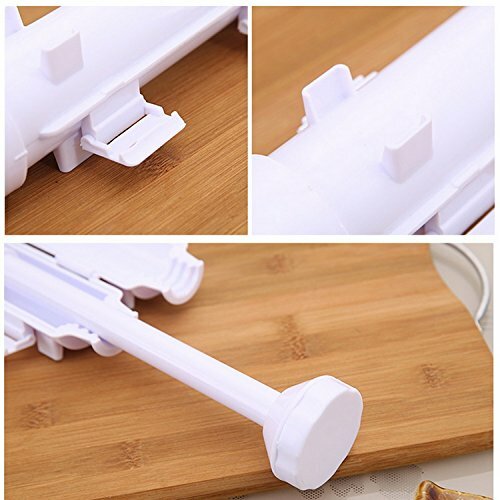 Allows you to get artistic when serving your dishes, stir fry’s, and salads. 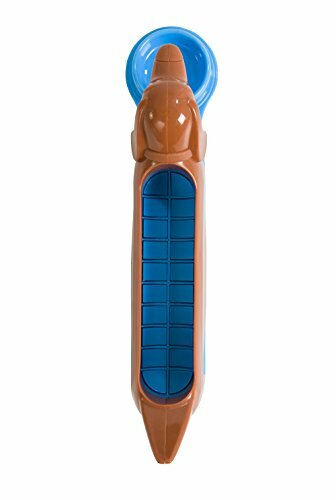 Has a solid plastic body for easy grip. 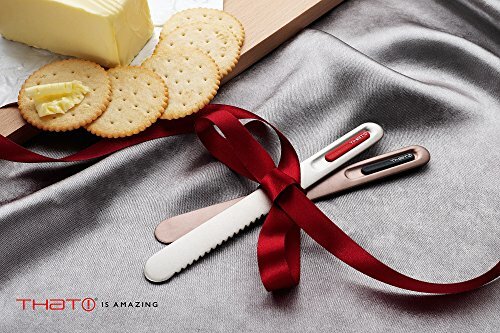 Can be a perfect gift idea for your friends who loves to cook. 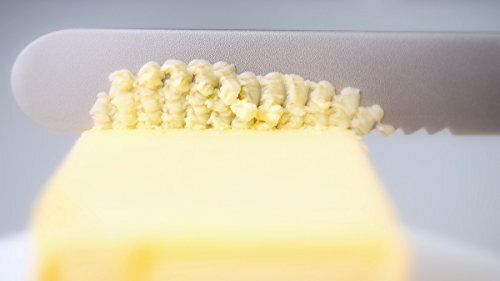 The backside works as a conventional peeler. 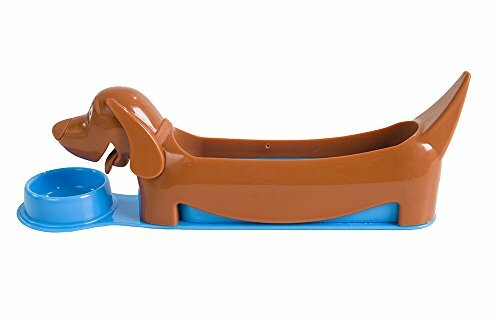 Make hot dog slicing fun using this Hot Dog slicer! 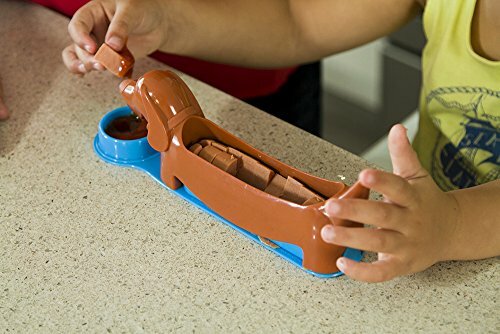 This is a cool kitchen tool that you will definitely enjoy with your kids. 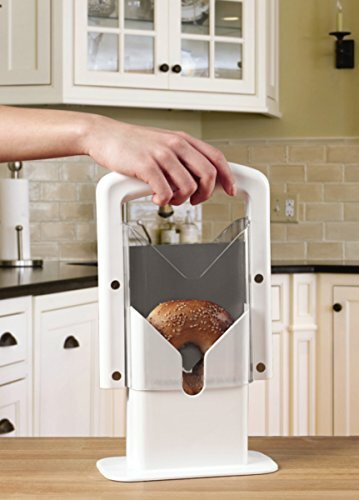 Just put the hot dog in the vase, put the dog-slicer over the hot dog and simply push it down. It does not have any stars parts so it can be used by children. 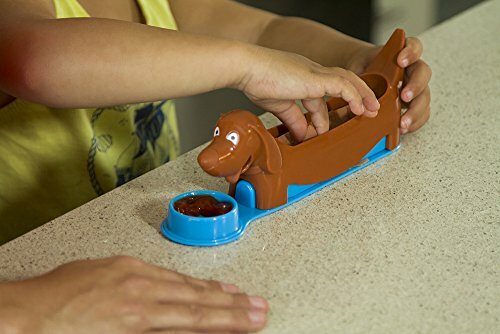 Allows you to instantly create bite-size pieces of hot dogs. You can slice both cold and cooked hot dogs. 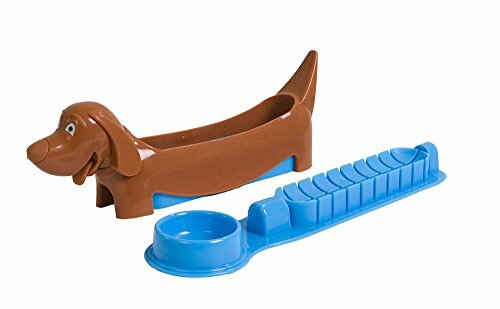 It fits most standard sized hot dogs including sausages. 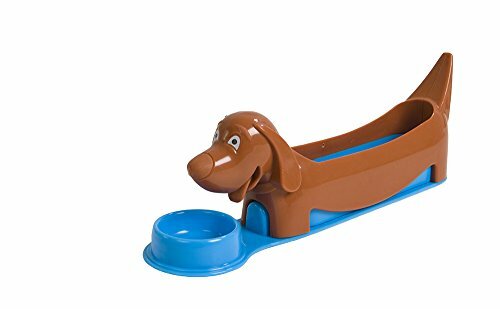 Its design also includes a dog bowl for your sauce. Dishwasher safe (be sure to put in on the top rack). 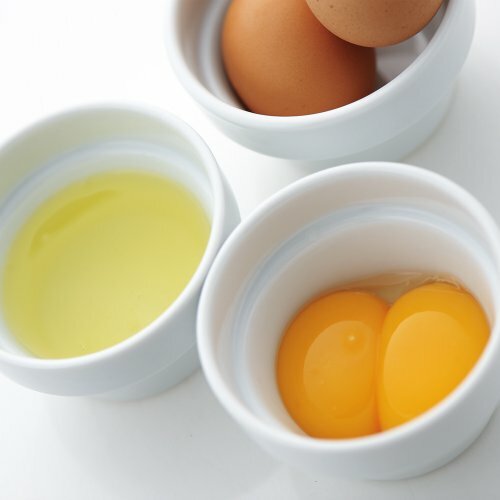 No matter how big or small your kitchen space is, stackable kitchen tools are a must in your kitchen. Aside from having a cool design that will make your kitchen look cleaner and stylish, it can also have save space on our countertop. It is also dishwasher safe. 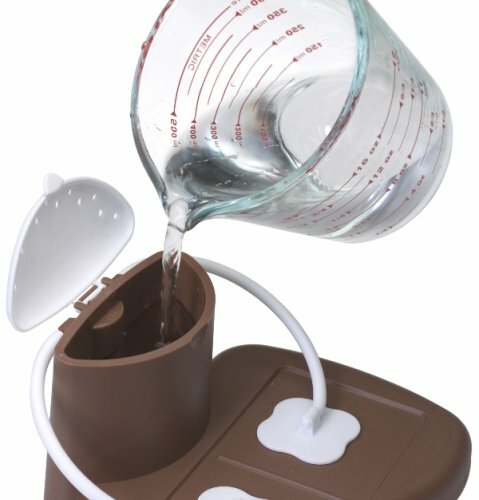 A funnel with attachments that can be used when you need to put or transfer liquids like sauces into different containers. 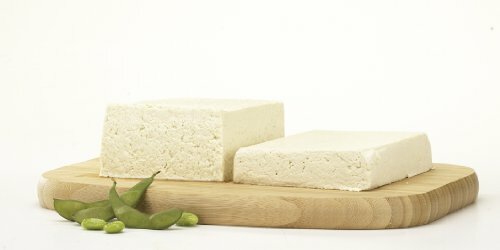 Are you a tofu lover or a health-conscious eater? If you are, then this tool is for you! 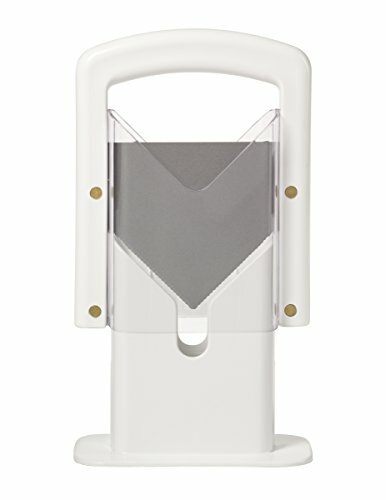 This innovative food press will make the preparation of your food healthier, and inexpensive at the same time. 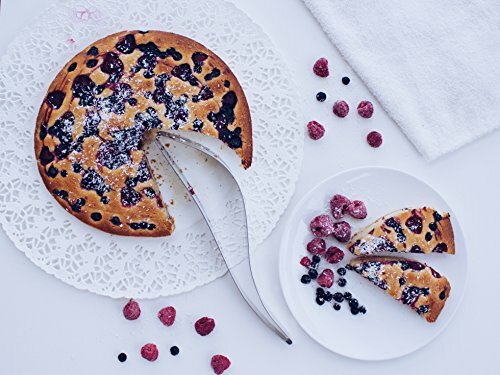 This is a perfect gift especially for your friends who are vegan! 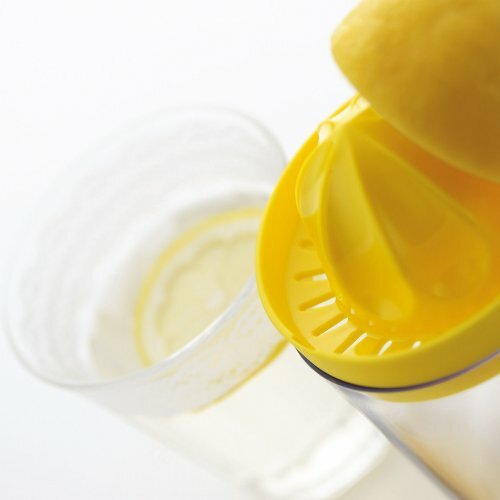 The main use of this mechanism is to remove the water out not only in tofus but also in vegetables like cabbage, chopped spinach, and so much more. 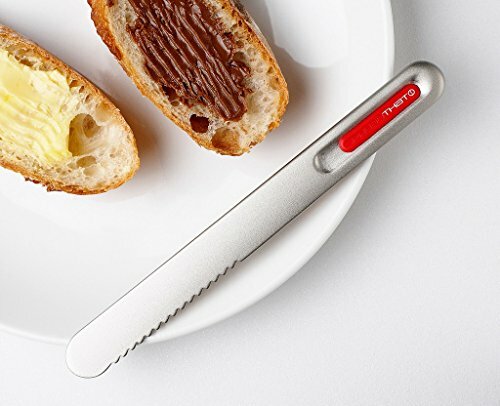 The design allows you to get things done in the kitchen quickly. The transparent body is for easy inspection while waiting. Can also be used as a marinating dish to let the flavor in. 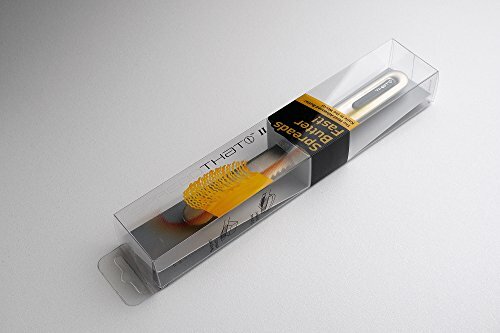 Guaranteed to last a long time because it is made of stainless steel and thermoplastic approved by FDA. The parts fit together for easy storage. 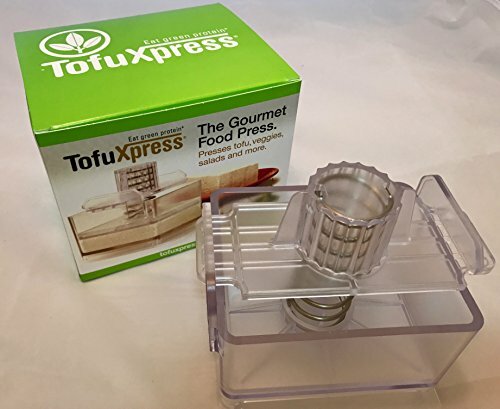 Gourmet Tofu Press / Marinating Dish - Clear. 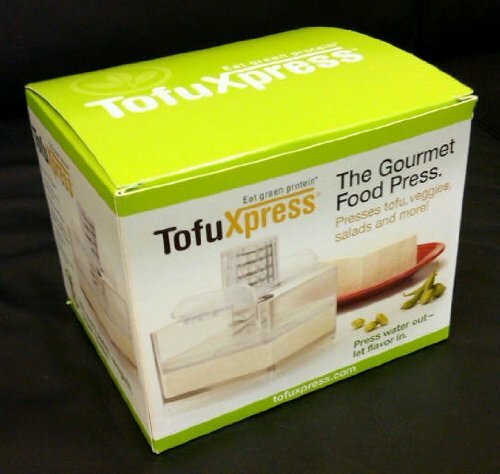 TofuXpress removes moisture from tofu and other foods automatically without mess. 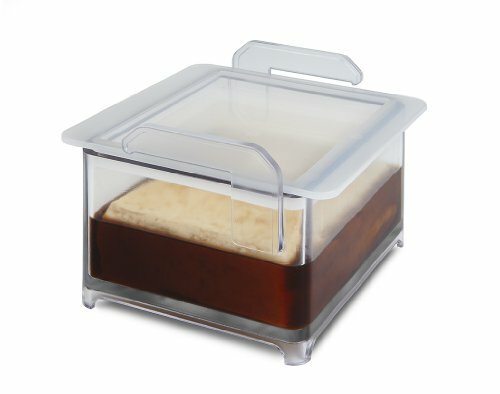 Press tofu, veggies and more! 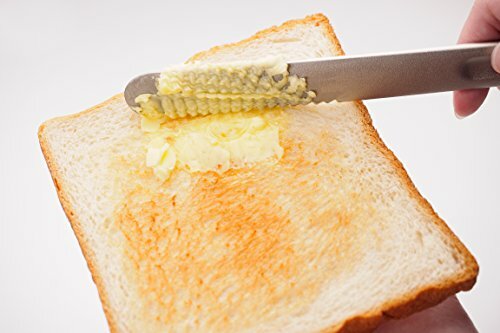 Everyone loves butter. But not everyone loves waiting for the butter to melt after putting it out of the fridge. If you think that this is battery-operated, you’re wrong. So where does the heat come from? It is made from a heat conducting technology. Meaning, it transmits the heat from your hand to the blade. 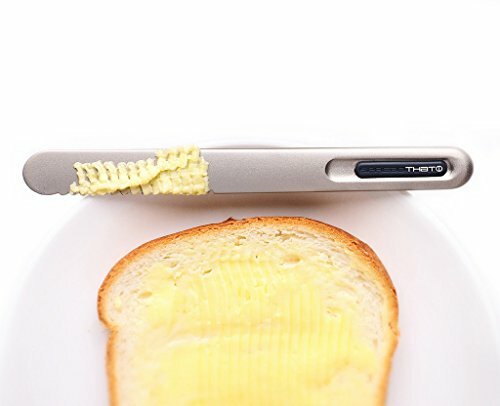 Makes butter application easier and quicker. 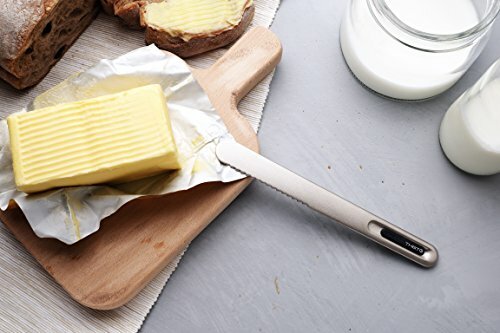 Can also be used in spreads, jams, etc. 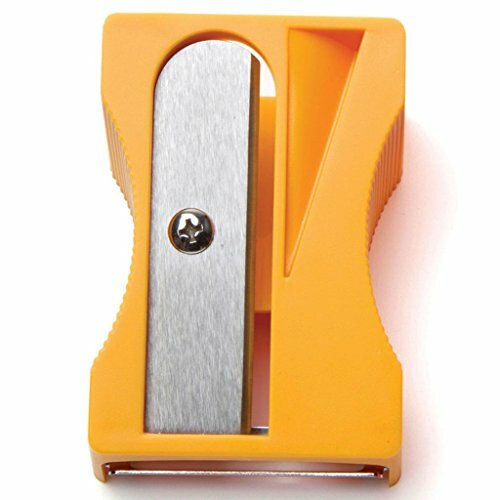 Safe to be used by children since it doesn’t have any sharp edges that can cut the skin. 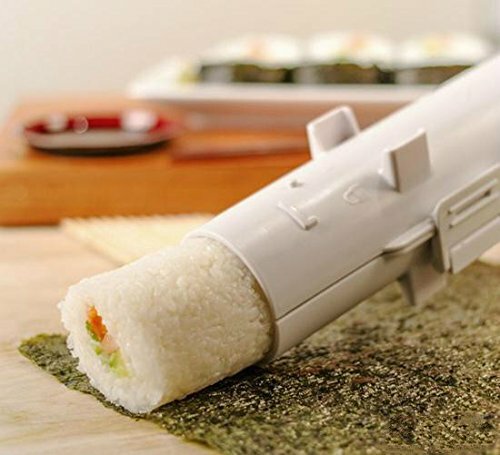 If you love Japanese food like sushi, this tool is for you! 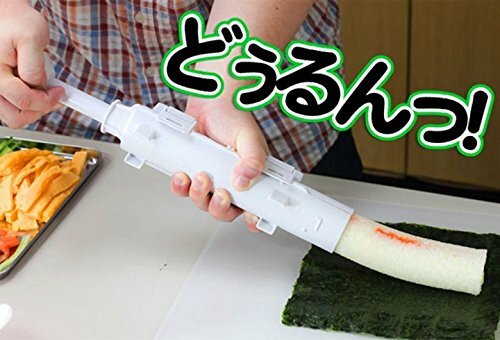 You can now make sushi in your kitchen without the need to go to your favorite Japanese restaurant. After cutting out the appropriate length and width, just put in all the ingredients. 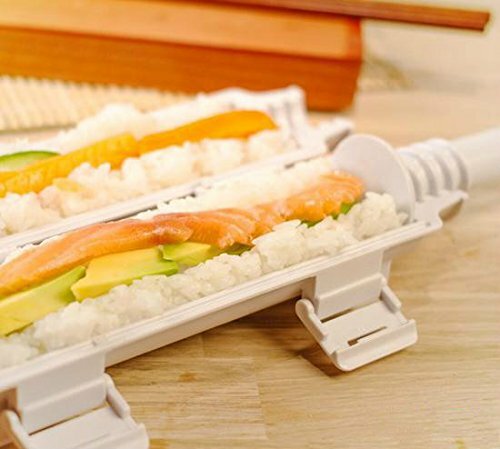 Designed to make the perfect sushi. 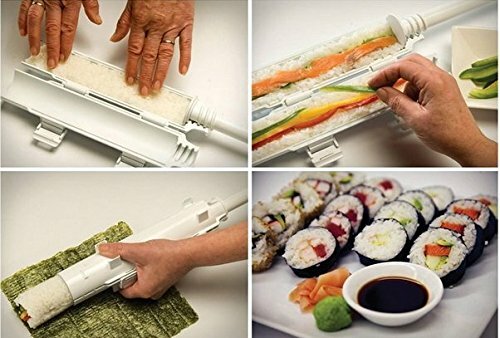 Its design doesn’t only help keep the shape of your sushi but also makes it easier for you to add ingredients and put rice onto the nori sheet. 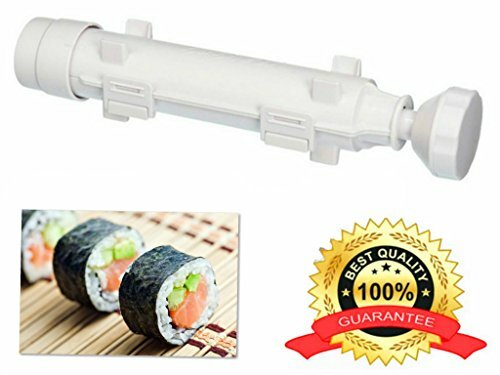 Easy to clean and store (detachable). 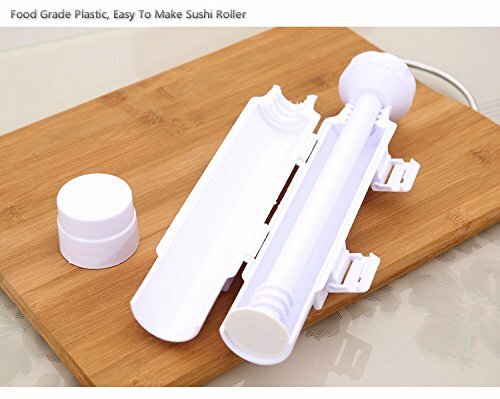 GREAT SIZE TO USE - This sushi making measures only 12" X 2.5" X 2.5" with multipurpose using in your kitchen. 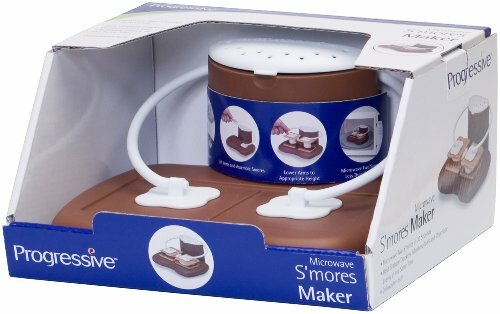 If you are into desserts and sweets like s’mores, then you should definitely buy this product. 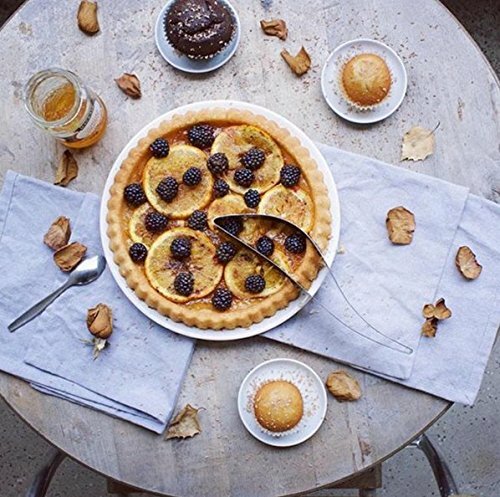 There’s no need to go to a pastry show since you can make one in the comfort of your home! 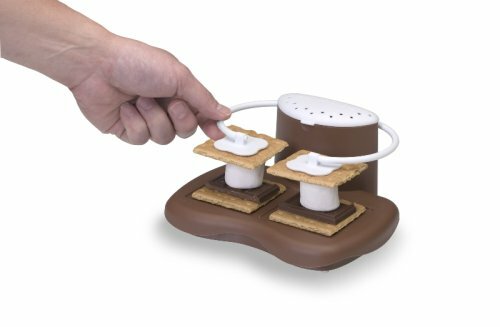 Make making s’mores easier and quicker. 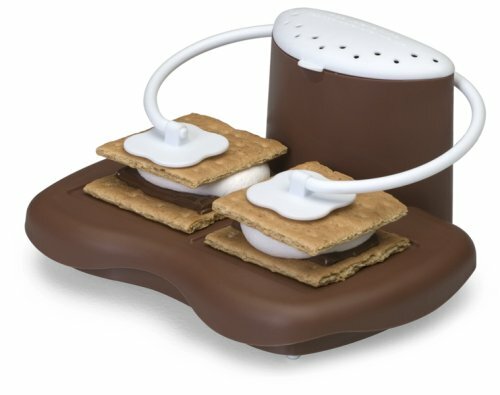 Its ingenious design allows the chocolate, marshmallow, and graham crackers to heat evenly inside the microwave. 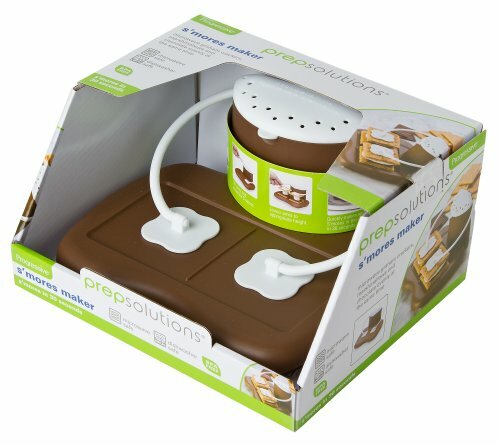 It uses a water reservoir so your chocolate can melt while preventing the marshmallow from overcooking. 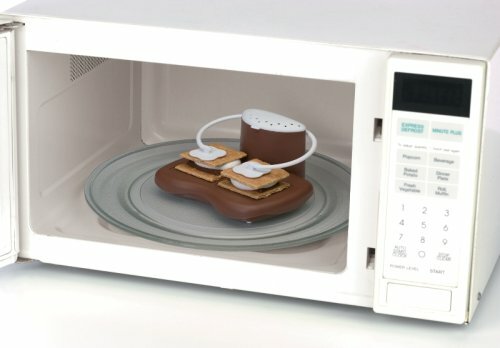 It helps keep the ingredients of your s’mores from falling while it is inside your microwave for 30 seconds. 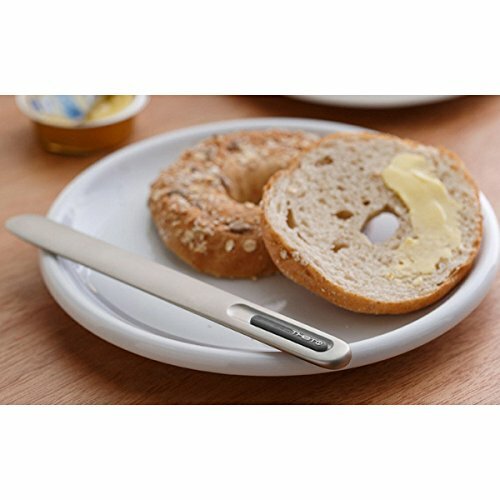 This is a simple cutting tool used to cut bagels and other kinds of bread. 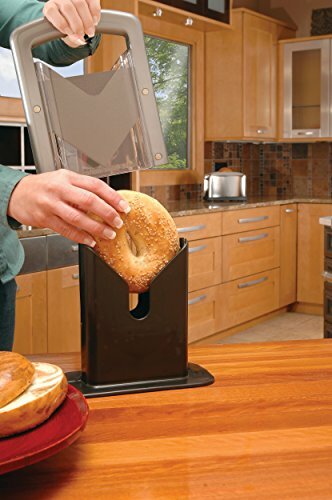 All you have to do is drop the bagel inside and then press the handle. 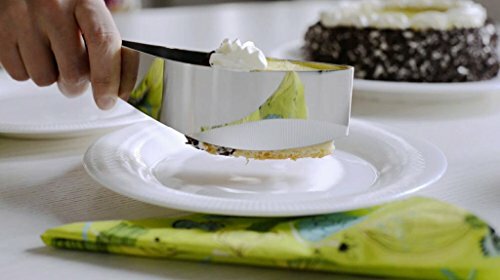 It has a stainless steel blade that can be replaced in case it breaks. 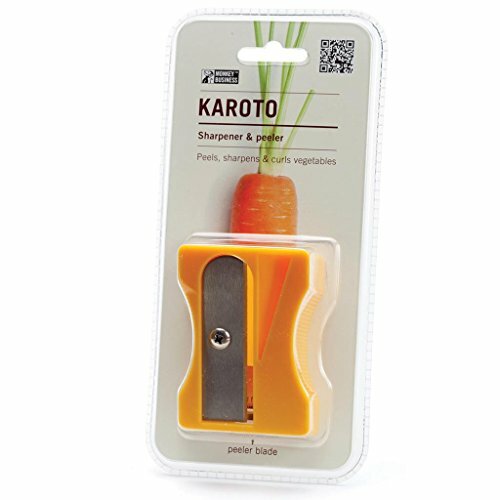 (The additional blades can be bought separately). 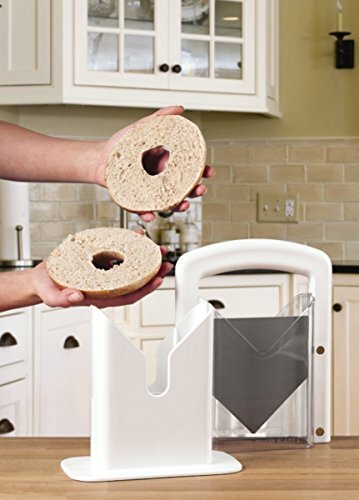 Comes with a clear guard that allows you to see the blade while you’re cutting the bagel to prevent your hands from getting cut. 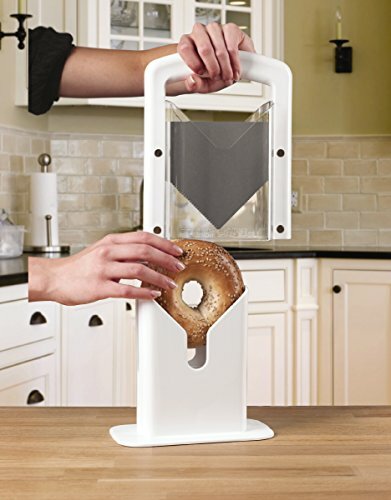 Cuts bagels in even sizes. 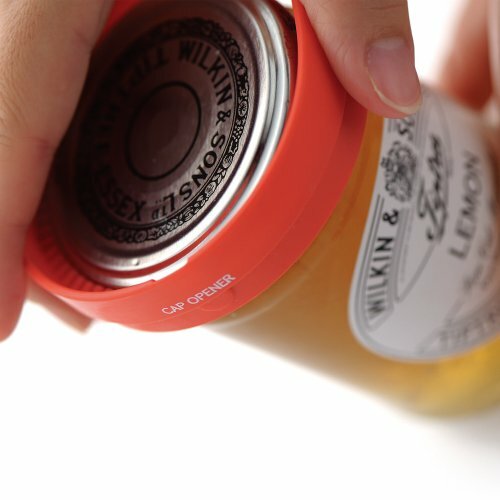 Easy to use grip handle. 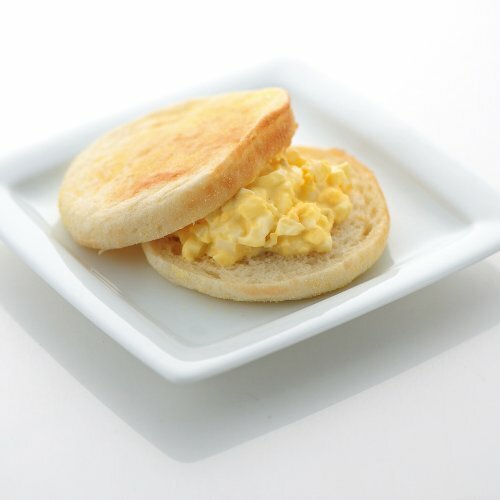 It has a non-stick XYLAN® coating.